Home » Should ‘Craig Wright, Satoshi’ Be Believed At All? If his words were to be believed, then he is Satoshi Nakamoto. But the lack of evidence—or at least truth to his proofs—convinces some to think otherwise. 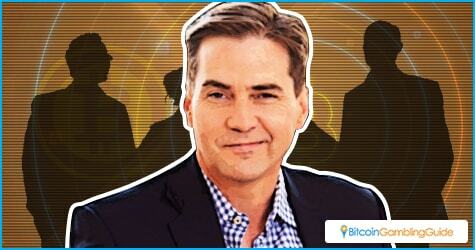 Craig Wright went public Monday about his involvement in the creation of Bitcoin and the blockchain technology. Not too long after the news broke out, though, doubts were quickly casted, specifically on Reddit, as it appeared that the digital signature Wright presented was far from being the key to Nakamoto’s true identity. 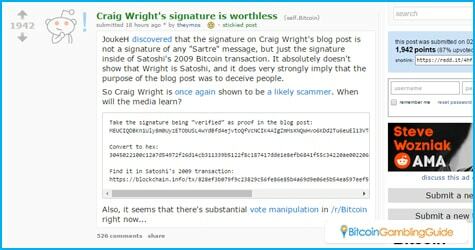 Also published on Wright’s blog post, the signature is not a ‘Sartre’ text, but a publicly available signature from a Bitcoin transaction dated Jan. 12, 2009, according to a Reddit user. Speculations that Wright is a hoax and questions seeking truth continue to circulate as the Bitcoin community demands clarifications. This situation is further aggravated by the fact that two key personas in the Bitcoin ecosystem—Bitcoin Foundation Chief Scientist Gavin Andresen and Founding Director Jon Matonis—believe Craig Wright is Satoshi Nakamoto. And so everyone is left asking, speculating, and desperately wanting to know the truth about Wright who claimed to be the real Bitcoin creator. Could it be just another deception? It was reported that Wright did privately prove his claim to select people only. The BBC also wrote that he plans to make public all the details for others interested to verify his identity. However, the public is now divided, urging Wright to release the same information that convinced Andresen and Matonis to accept him as the true inventor of Bitcoin. Some say that Wright’s lengthy explanation on his blog is to convince the public that he is what he says he is, but still chose to keep private—except to a few—vital bits of information. In the event that Wright’s admission is a fake, Andresen and Matonis will quickly lose public trust, with the Bitcoin Foundation going down with them. So many plot twists has since then pictured by the creative minds and any of these could be true. Wright shared with the BBC that he out himself not to receive adoration or awards. Instead, he just wanted to be left alone, along with the people close to him. His revelation per se, however, is already questioned by some, let alone his real purpose for doing so. He also mentioned that he was pressured to reveal himself. By who, he did not say, but this only led to more questions. Should he be really Satoshi Nakamoto, are there people or organizations pushing Craig Wright to admit his role in the Bitcoin creation? Similarly, is he being controlled to act as if he invented Bitcoin? Going back to Andresen and Matonis’ support for Wright, it cannot be helped questioning if the Bitcoin Foundation is part of the equation. It can be recalled that the said foundation has been marred with controversies, with the Bitcoin Foundation fiasco like the bankruptcy issue. Therefore, is Bitcoin Foundation trying to salvage its name through Wright? Additionally, does this have something to do with the ongoing dispute between Bitcoin Core and Bitcoin Classic? 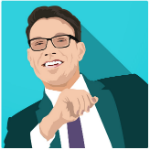 Or better yet, is Wright simply telling the world that he owns $450 million worth of Bitcoin, and that he can control higher Bitcoin price movements with just a few clicks? Whether or not Wright is saying the truth, the revelation may harm the blockchain technology. It is possible that the public trust on the said technology may weaken, knowing that the Bitcoin creator—when given an order or acting upon personal interests—can easily tweak it in favor of some parties. This can affect several sectors that already operate on it, and this is also how the Bitcoin gambling niche will feel the repercussions of the ongoing mission to verify Wright’s claims of being Satoshi Nakamoto. Bitcoin gambling, which takes pride in provably fair gaming—a feature absent in online and land-based gaming—heavily relies on cryptography and the blockchain technology. If the said technology can be altered, how reliable will provably fair gaming then be?